The counseling feature enables your organization to record and secure confidential information for the counseling ministry. Along with recording counseling notes, you can customize counseling concerns, counseling restrictions and counseling statuses. Restrictions display on the Person Detail page as a means to communicate with other staff when an individual should be restricted from a specific area or subtlety flag a record. You can also customize the Counseling Status Lookup to display a symbol or letter for flagged records. 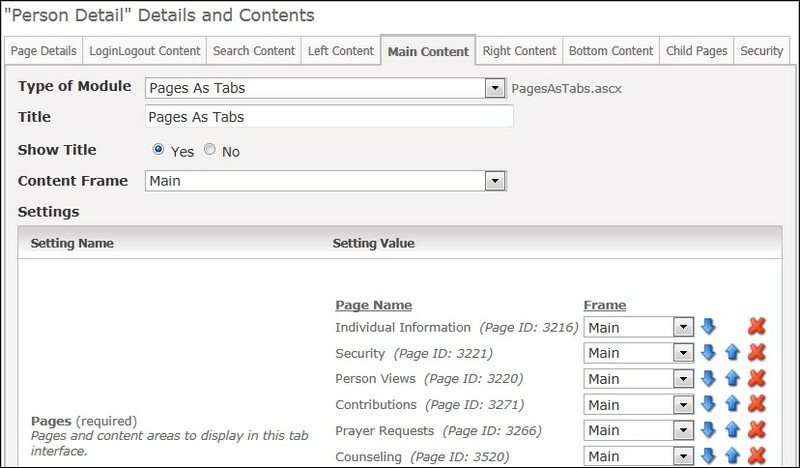 Create a Ministry Tag consisting of existing records you want to identify as counselors. Add this tag # to the Counseling Team Member Profile Organization Setting. You can obtain the profile_id from the URL when you select the Tag (http://arena/default.aspx?page=25&profile=171), or in the core_profile Arena SQL table. Customize the CounselingRestrictionIdentifier Organization Setting. The default setting [R] displays on a record where the “Show Restriction” Lookup value is set to “True.” You can change the default “R” value by entering the desired value, such as * in the Value field. Customize Counseling Pastoral Concerns, Counseling Restrictions, and Counseling Status Lookups. Add “true” to a Counseling Restriction to allow users to enter a note for the restriction. Add “true” for Show Restriction to a Counseling Status to display the Restriction Identifier for the status. Add “true” for Set End Date for a Counseling Status to allow user to set an end date for the status. Add a Counseling child page to the Person Detail page. Set to not display in navigation. Add the Counseling and Counseling Request modules to this page. Set security for each module. Users with view and edit permission for the Counseling Request module can create a new counseling request. Users with View and Edit permission for the Counseling module have full access to Counseling. Add the new Counseling page as a tab to the Person Detail page, as shown below. Customize the Counseling Request System Email.